A programme which offers a unique, immersive and life-changing personal and professional development opportunity is accepting applications for its 2019 intake. More than 20 practitioners will be invited to join the GLP network in 2019. 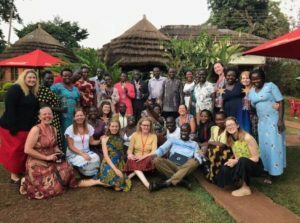 GLP, which is managed and majority-funded by The Wood Foundation, includes a month spent in Rwanda or Uganda and several interventions pre- and post-travel to realise as part of the full development potential. Jill Callander, a probation mentor at Aberdeenshire Council, was part of the first GLP cohort in 2012 and returned in 2018 as a Team Lead. “GLP is the best CLPL activity I have experienced in my career and has had the biggest impact on both my professional and home lives. Applications and more information are available at www.glpscotland.org.uk. The application period is active from now until 11th January 2019. Applicants will be interviewed and those selected for the programme will have training weekends in March and May before travelling to Rwanda or Uganda in July. There will be a further debrief event in October.